Mascus New Zealand, the local and worldwide online market place for used equipment and machines. Advertisers now have 436,906 listings for sale. We have improved and refreshed the design to allow easier search and browsing by buyers to find your equipment / trucks! 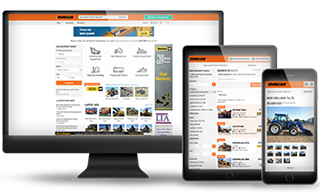 Mascus is set to build a series of remarketing tools for Hitachi Construction Machinery (Europe) NV (HCME) and its dealer’s network. Mascus successfully serves the needs of thousands of customers from Australia, Europe and all over the world.